The Tampa Bay Rays have been stuck in the same place for each of the past two seasons. They have picked 13th overall in both years and have been unable to make any real progress in moving out of the AL East cellar. They have a very solid young core of players with guys like Chris Archer, Blake Snell and Alex Cobb in their rotation and a lineup that contains bats like Evan Longoria and Brad Miller, but they will need some more help if they are going to compete in the near future. On the bright side, their farm system has several players capable of filling some holes on their team. Unfortunately, both the Red Sox and the Yankees boast stronger farm systems right now. And while the Rays are ahead of both the Orioles and Blue Jays in minors depth, they can't quite field a team as strong as either of those two teams. This is the latest in our ongoing prospect coverage, going over the top 10 prospects for every team. Click the provided links to read about the systems of the Baltimore Orioles, the Boston Red Sox and New York Yankees. Next week, we will be talking about the Toronto Blue Jays. Adames does not have a single elite skill, but there isn’t anything he does poorly. 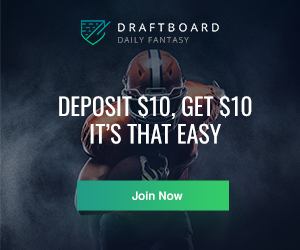 With above-average skills across the board and experience at Double-A already, Adames looks like a very solid bet to be a reliable fantasy producer for fantasy owners as early as this upcoming season. If given full playing time, it would not be altogether surprising to see him post up a 15/15 season or, at best, a 20/20 season to go along with a .275-.300 batting average. The Rays possess many second base/shortstop players like Matt Duffy, Nick Franklin, Brad Miller and Logan Forsythe that could make it difficult for the 21-year-old to crack the lineup. But he will be ready to go in 2017 and could force his way into the lineup. Lowe was an extremely athletic player entering the draft, capable of playing either third base, any outfield position or starting on the mound. The Rays opted, for now, to start him at third base. He will only be 19 years old at the start of the 2017 season and has a lot of time left to develop, but the Rays love what they have and they think he could be a potent middle-of-the-order bat for them in the future. Dynasty owners should envision a potential 15/20 third baseman or center fielder starting in the big leagues somewhere around the middle of 2019 or beginning of 2020. 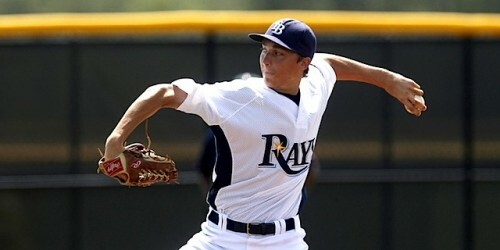 The Rays have in back-to-back years taken high upside, athletic high schoolers with their 13th overall pick. In 2015, that pick was spent on Whitley, an outfielder who appears to have extreme power/speed upside. Whitley managed only 65 games at Low-A this season and flashed what scouts had seen when he was in high school: speed in both the field and on the bases, patience at the plate and a quick swing. However, the 19-year-old was unable to turn his raw power into actual production, mustering only one home run in 292 trips to the plate. Scouts still see him as possessing 20/20 potential with the ability to lead off, but he needs to begin to turn things around. 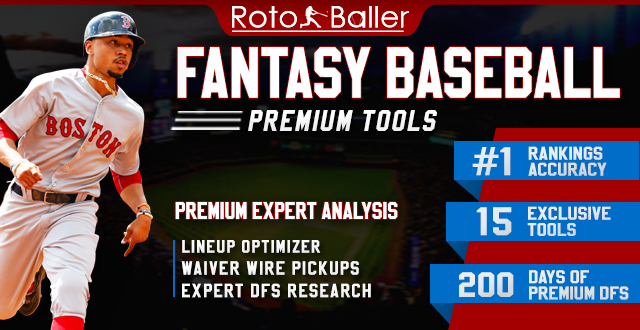 Dynasty owners are advised to pick up the young outfielder only if they have a spot on their roster for a high risk/high reward gamble. Anytime we want to talk about a catcher, dynasty owners get excited. Somehow, after both a dominant display at Rookie league in 2015 and an even better year at Class-A in 2016, Sullivan has received little recognition. In the 183 games between both levels, Sullivan has accumulated 24 home runs and 22 stolen bases. To top it all off, the 22-year-old catcher has been able to maintain a strikeout rate below 15% at both levels. Initially drafted as a third baseman, Sullivan is new to catching and it could take some time to fully adjust to the position, but he has received props from scouts for his work ethic and dedication to learning the new position. Owners could be rewarded down the road if Sullivan reaches the big leagues as he could be an offensive-minded backstop similar to J.T. Realmuto of the Marlins. It’s a good thing Gillaspie has outstanding power because he will be limited to first base for his entire career due to an extreme lack of athleticism. The 6’4” 240 pound first baseman mashed 18 home runs across 132 games between Double-A and Triple-A, good for a 22 home run pace across a 162 game season. And with his size and raw power potential, Gillaspie is a good bet to continue to build off that home run pace as he starts to add more loft to his swing. This was really between Adames and Bauers, but I had to give it to Bauers because of his plate discipline. The outfield prospect has demonstrated outstanding recognition of the strike zone and couples that with a line-drive oriented approach which leads many to believe he will hit for a solid batting average in the majors. Bauers may not develop the explosive power many hoped, but reaching base with frequency should not be much of an issue for him. Not to be confused with Morgan Freeman’s character in the Dark Knight trilogy, Lucius Fox swiped 25 bags in 75 games at the Giants’ Class-A affiliate before being traded to Tampa in the Matt Moore deal. His season ended after the trade due to a foot injury, but Fox should not have much of a problem bouncing back at the start of 2017 and going right back to swiping bags at an incredible rate. If he can cut down on the strikeouts and work on his hitting a bit more, he could be a threat to lead the league in steals on a regular basis. In back-to-back seasons between Double-A and Triple-A, Schultz has maintained a strikeout rate north of 28%. How has he done it? By getting hitters to chase a mid-upper-90s fastball and sharp-biting breaking ball. So what’s the problem? Schultz lacks much of any control over his arsenal. Schultz is a true strikeout machine, but if he doesn’t reign in his command, he will not make it to the big leagues as a starter. Honeywell has baffled hitters and scouts alike with his mastery of the rare screwball. It is a difficult pitch to throw with command, the main reason we don’t see many in today’s game. But Honeywell has turned it into a lethal weapon to accompany an already outstanding repertoire. 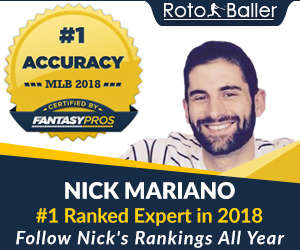 He has proven over multiple seasons that he has elite control of his repertoire (as evidenced by the fact he has never walked batters at a rate higher than 5.9% when throwing at least 20 innings at a single level). Owners should rest easy knowing they have a guy who will throw strikes and command the zone when he reaches the big leagues. If everything works out well for him, he could be a 20/20 hitter at shortstop with the ability to hit in the .290-.310 range. Honeywell possesses elite command and an outstanding array of pitches which helps him maintain a low risk/high reward profile. The switch-hitting first baseman has a chance to open 2017 with Tampa if he impresses in Spring Training, a great thing for owners looking for a sleeper at first base to produce impressive power numbers. Bauers doesn’t wow anyone with his skillset, but he has a very high floor and could start producing in 2017. 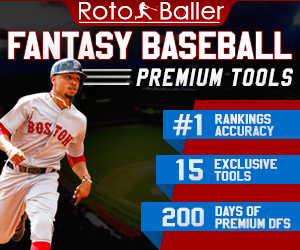 Owners should expect a high OBP and moderate home run totals. Lowe’s youth will keep him in the minors for a little bit, but he has the upside to be a 15/20 or even 20/20 threat in the big leagues if everything works out the way it should. 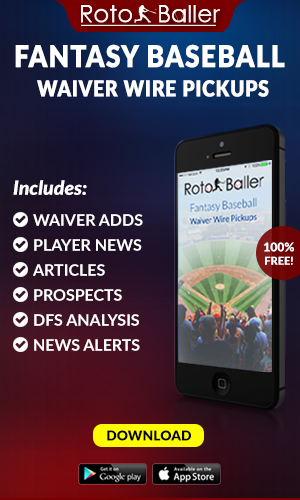 Control is what currently keeps Faria from being seen as a two or three starter in the future. Even if he never reigns in the walks, Faria still figures to start in the majors, even if just at the backend of the Rays’ rotation. Whitley is another power/speed threat in the making. The question with him will always be whether he can turn his quick bat and sharp eye into home runs. A true burner, Fox has the potential to lead the league in steals if he can begin to reach base more consistently. Hu is essentially a toned-down version of Honeywell: outstanding command, but a less impressive repertoire (plus his palmball is his odd-pitch equivalent to Honeywell’s screwball). His problem is his inability to miss bats, limiting his fantasy upside. It remains a mystery whether Sullivan will stay behind the dish, but if he can get his defense shored up back there, both the Rays and dynasty owners will have a solid offensive catcher behind the dish. For dynasty owners, the obvious headline grabbers are Adames and Honeywell, but don’t sleep on Gillaspie who has quietly been putting up solid numbers over the past couple seasons. He could be a very solid source of power production from first base as early as the start of the 2017 season. The system as a whole has a little bit of everything: it has some guys close to the big leagues who appear poised to be solid producers for teams and some guys with high upside further away from the big leagues. Unfortunately for dynasty owners, there is not one prospect in this system currently on pace to be an elite prospect. It is a better source of prospect talent than about half the other teams in the league, but it is most certainly not a farm system to be considered in the upper-echelon of organizations.